You can make a decrease in your crochet with slip stitches or by stopping before the last stitch — if you need to decrease at the beginning or end of a row of stitches. 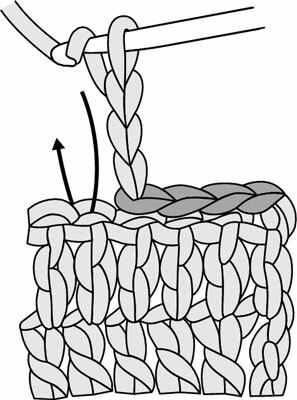 These two methods are simple ways to decrease crochetwork. 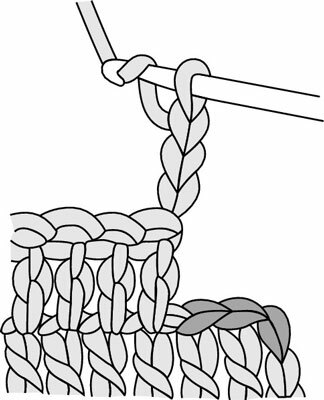 Decreasing with slip stitches: To decrease at the beginning of the row, you can slip stitch across the number of stitches that you want to decrease. When you reach the stitch designated to be the first stitch of the row, you make the turning chain and work across the row as you normally would. You use this method when you need to decrease more than just one or two stitches, typically for shaping the armholes or neck edges in a garment. The resulting look is a squared-off corner. Stopping before you reach the end: You can decrease stitches at the end of a row by simply stopping before you get to the last stitch. This method gives you a rather squared off look and is quite often used when shaping garments. Work across the row until you have the number of stitches that your work requires, then, turn your work, leaving the remaining stitches on the current row unworked.